2018 was a progressive year for Revelstoke Bear Aware. There were 181 reports concerning black bears made to Revelstoke Bear Aware and the conservation officer service. The Conservation Officer Service destroyed 5 black bears in 2018 as compared to 4 in 2017. There were 4 incidents where bears broke into houses and destroyed property. The first reported bear sighting in 2018 was on May 11 and the last reported bear sighting was on December 20. Garbage continues to be the number one attractant for bears in Revelstoke with 66% of bear sightings being associated with garbage as an attractant. All of the destroyed bears were killed as a result of becoming conditioned to eating garbage. This year Revelstoke Bear Aware implemented a cost share program to remove barriers for residents looking to purchase a bear resistant bin. Bear resistant storage bins were offered at Revelstoke Home Hardware with a $300 discount funded by Revelstoke Bear Aware. Unmanaged fruit trees were another common attractant for bears in Revelstoke. Our Gleaning Project was very active this year. In 2018 people were encouraged to pick their own trees and donate their fruit to the project. Revelstoke Bear Aware harvested 2300 lbs of fruit, of which 565 lbs were donated to the Food Bank as either fresh or preserved fruit. This year Revelstoke Bear Aware implemented a Fruit Share Facebook group, https://www.facebook.com/groups/revelstokefruitshare, for the community to come together to chat and share their trees. A website, www.revelstokefruitshare.com, was also implemented for residents to list their trees available to pick and others to view to glean trees. This new outreach saw 98 members join. Revelstoke Bear Aware delivered 12 class room presentations, contributed to 2 City Council meetings, and attended 8 public events. Through these events we reached a total 1,959 people. Two door-to-door campaigns were conducted in conjunction with the Conservation Officer Service. Two door-to-door campaigns were conducted by Revelstoke Bear Aware to inform residents of a grizzly bears in the area. Revelstoke Bear Aware worked with the City of Revelstoke to increase bylaw compliance in areas of high bear activity. The Revelstoke Bear Aware Facebook page was utilized and post views reached over 267,261 views. Numerous posts regarding attractant management and the Gleaning Project were made to the Stoke List. Revelstoke Bear Aware issued 3 press releases and gave 6 interviews. Bear in Area lawn signs were deployed in areas where bears had been reported. Feedback continues to suggest that the signs are very effective at raising awareness and reminding people to secure attractants. Signs were deployed 16 times during the season, for an average of around 5 days at a time giving a total of 80 sign/days in 2018. In addition, signs were loaned to several campgrounds and resorts so that staff could deploy signs when bears were seen in their area. 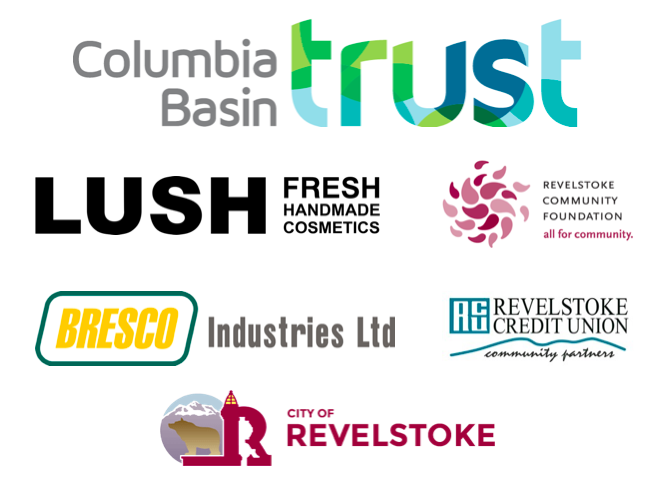 It would not have been possible to deliver the Revelstoke Bear Aware program to so many members of the community without the support from volunteers. This year 81 volunteers gave a total of 141 volunteer hours to Revelstoke Bear Aware. Follow the progress of the Columbia Shuswap Regional District’s move to create an organic waste disposal system in Revelstoke. Investigate what this organic waste disposal program will mean for bear-resistant garbage disposal in town. Continue to promote communal garbage bins in trailer parks and new developments. Continue to offer the bear resistant storage bin cost share program as an option for home owners. Update the bear hazard assessment map. Implement a strategy to reach short-term renters and new arrivals to town. Continue to operate the Gleaning Project, to ensure unused fruit is available to our community and does not become a bear attractant. Promote the new online fruit share application so that gleaners and people with excess fruit can connect independently of the Gleaning Project. Continue to list unmanaged residential fruit trees, with the aim of assisting enforcement of the new City bylaw. Continue to identify unmanaged fruit trees on City property and lands managed by other agencies, and request removal of these fruit trees. Develop point-of-sale information directed to people buying fruit trees, so they recognize the long-term effort required to care for a fruit tree. Continue to offer our Bear Necessities workshops including fruit tree pruning and electric fence workshops.